Other Rubber molded products can be widely used in various machinery, which are resistant to all kinds of petroleum base oil and various chemical medium. Feature: resistance to corrosion, high temperature and abrasion. Function: seal for shaft, hole, dust prevention, guide ring and fixation. Excellent properties of anti-aging, electrical insulation and anti-ozone. Composed of EPR with better resistance to water vapor than that to high temperature . For detail product's datasheet,please enter your information and email in the comments section,our support staff will contact you timely. 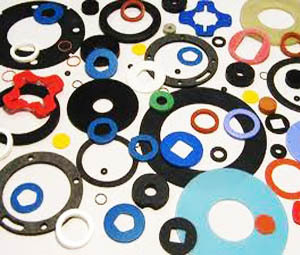 Rubber Extrusion Profile and Rubber Molded Products and Rubber hose -KAITRUBBER is well recognized and respected as a leader in the manufacture of top quality trims and seals, KAITRUBBER provides high quality, superior service and competitively priced rubber products. We support various Rubber Product's OEM&Customized.Any question,please enter your information in comments section,our support staff will contact you timely and offer the best service. Enter your inquiry details such as: 1.Self introduction. 2.Required specifications. 3.Inquire about price/MOQ.